Power Sport Manufacturers are required to meet noise suppression standards throughout the world. Spark Plugs alone do not provide enough noise suppression therefore resistor covers were introduced. NGK Resistor Covers are designed to reduce “Electro Magnetic Interference” and “Radio Frequency Interference” which can interfere with electronic ignition components causing misfires and poor engine performance. 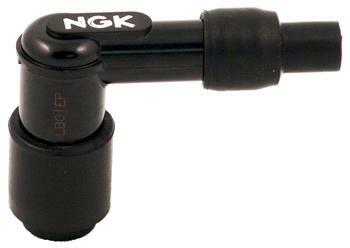 NGK Resistor Covers are manufactured using extremely durable Phenolic Resin and EPDM Rubber. Ceramic resistors are used to ensure optimum performance and reliability. Resistor Covers must withstand extreme heat, vibration, prevent flash over and must be water proof. 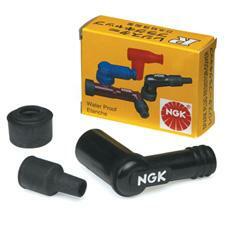 NGK Spark Plugs superior design ensures optimal service life and performance. Resistor Covers are for Motorcycle, Marine, Snowmobile and Small Engine applications only.